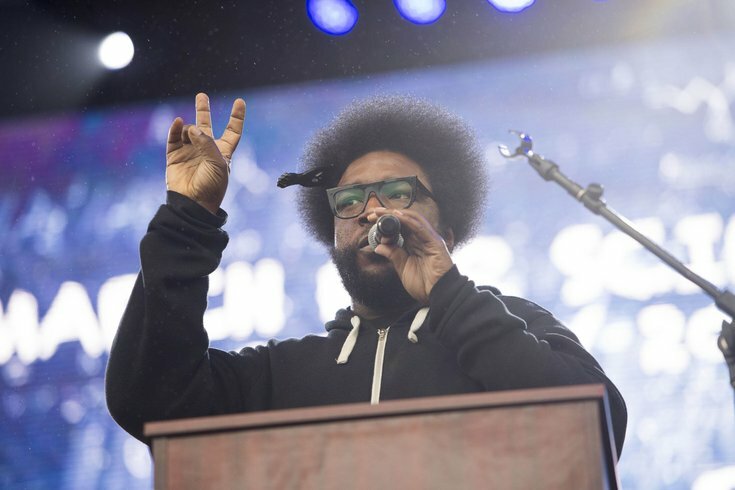 American musician Ahmir "Questlove" Thompson speaks to the crowd for the March for Science on April 22, 2017 in Washington. More than two years after Prince's untimely death, his legacy and musical genius live on as a reminder of what he accomplished as an artist. Transcendence of genre was one of Prince's greatest gifts. He could make any style his own and carry its conventions to a higher plane of musicianship and charisma. Posthumously, it makes a lot of sense that his greatest songs would be perfectly suited to an orchestral arrangement — and that's what's happening this fall. 4U will present the music of Prince like never before, with a full orchestra. In addition, each show will feature a live band including world class musicians and vocalists who will perform collectively with the orchestra. 4U will draw from Prince’s singular and extensive music catalog, highlighting many of his greatest hits alongside lesser known gems. The concerts will feature performances from the Virginia-based Wolf Trap Orchestra, a live band and several vocalists. Former Prince backing bands the Revolution and New Power Generation both toured in 2017, but 4U represents the first tour backed by the Prince since his death in April 2016. Philadelphia fans will unfortunately have to travel to see the show, which wasn't booked here. It kicks off Sept. 6 at the State Theatre in New Brunswick, New Jersey, the closest venue to Philadelphia on the entire tour. Check out tour dates and more information here.